World Cup Central at The Pond! The Pond is gearing up to be World Cup Central here in Rehoboth Beach! Lots of Big Screen TVs to watch and enjoy the semi-finals on Tuesday and Wednesday at 2pm, and we will have sound on our house system so you can view and hear all the action!!. Then on Sunday, we are opening at 10am and having our first World Cup Finals Breakfast, game time 11am! 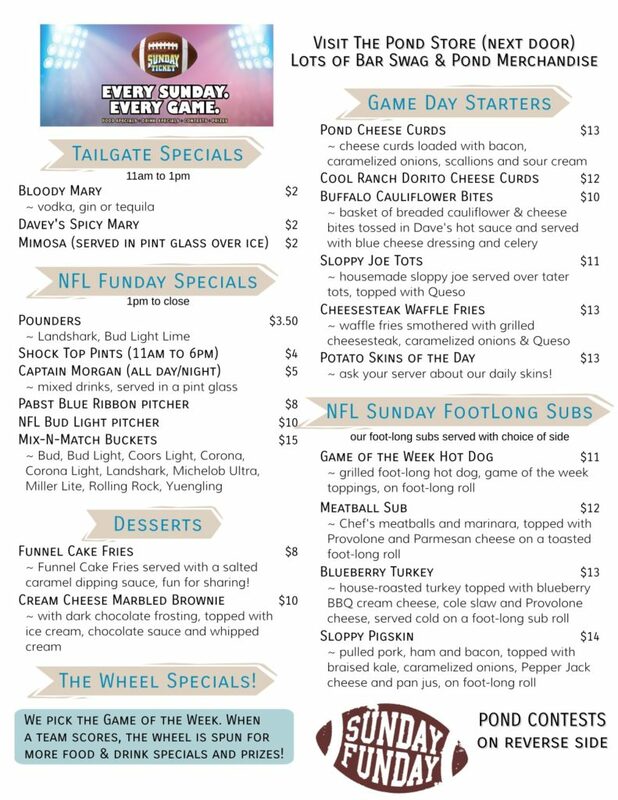 On Tuesday and Wednesday, in addition to our daily specials, there will be plenty of semi finals specials during the games! Starters to share will include Crab Mac-n-Cheese Balls, Loaded Chicken Bites and Chef’s choice spring rolls. $2 OFF all draft beer* and $15 Mix-n-Match Buckets. ENTER TO WIN a $25 GIFT CARD! For every $15 you spend from 1pm until end of the game, you will receive a chance to win a $25 GIFT CARD from The Pond** GIFT CARDS will be given away on Tuesday AND Wednesday! Our Menu for the World Cup Finals Breakfast will be posted soon! COME JOIN THE FUN AT THE POND!